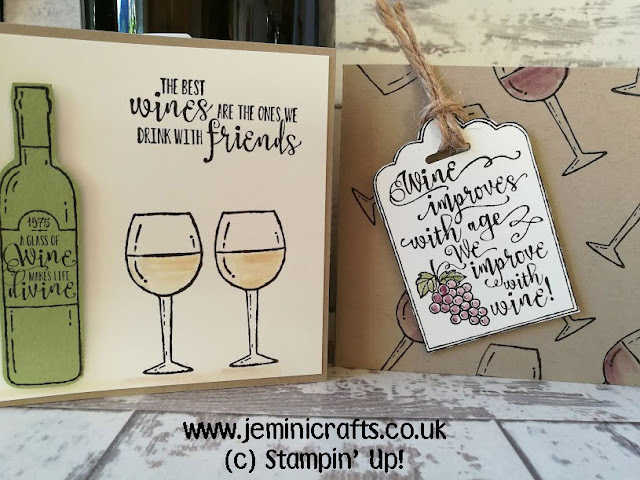 Jemini Crafts: Is your glass always half full? Is your glass always half full? Mine certainly is! I am very much a glass half full, rather than a glass half empty person. Which makes our stamp set this week very appropriate! 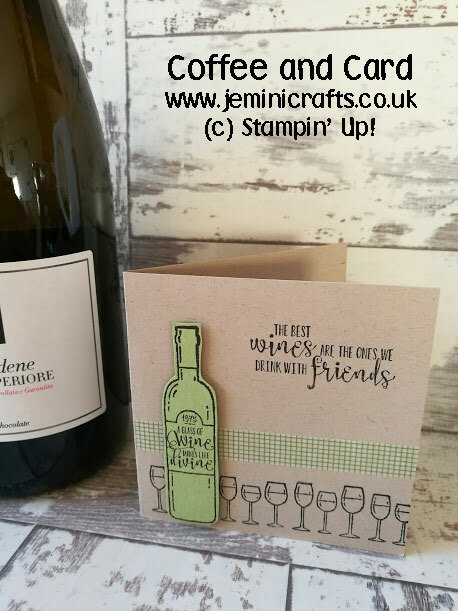 It's a brand new stamp set which is released in the Seasonal catalogue on 1st September, and is called HALF FULL! We are using it at Coffee and Card this week. Here are the samples I created for our 2 sessions, and later in the week I will share the finished cards we make. When the set is available to order, I will post a direct link - so feel free to come back to this post in due course. Remember, you can join us for coffeeandcard every Monday and Wednesday morning, at Towcester and Brackley, Northants, UK.